The fishing fleet of the Azores is mainly composed of small vessels (<14m ff - Length out to outside) of which more than 80% are small scale boats, meaning that it has limiting characteristics of autonomy and of the type of fishing technology that it can use, presenting a system of artisanal operation. About 30-35% of this fleet is concentrated on the island of S. Miguel. With the exception of large tuna vessels, all components of the fleet exploit the demersal species, suggesting a strong seasonal variability in the operation regime of a large fleet fraction due to the combination of some biological characteristics (abundance) and (price) of the resource and of fishing (fuel, personnel, etc.). The Common Fisheries Policy, which fits the European fisheries policy and its relationship with the marine environment, requires member states to implement efficient management measures to ensure the social, economic and environmental sustainability of extractive activities, including monitoring of exploited resources. Maintaining sustainable fisheries is increasingly a key factor for the protection of marine resources and to promote a long-term policy for fishing. Fisheries sustainability is thus ensured by efficient fisheries management measures based on information obtained through systematic resources and fisheries monitoring. Those facts were soon recognized by decision makers, researchers and fishermen in the Azores Archipelago (Portugal) where fisheries are mainly composed by small scale artisanal fleet. Assuming the challenges of manage a diversity of fishing gears and considering the biological characteristics of the target species and the concerns they rise on conservation status, since the 80´s the region developed monitoring tools to approach sustainability standards. 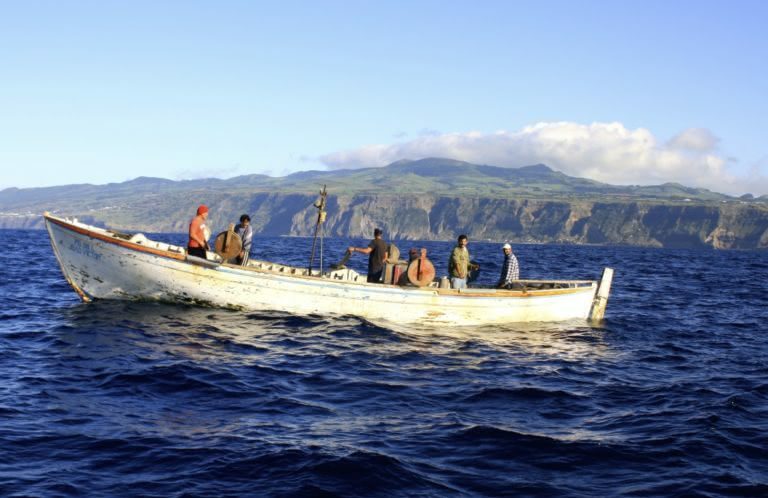 The Azores fisheries observer Program (POPA), created in 1998, is part of this strategy, ensuring detailed collection of scientific data through embarked fisheries observers with special emphasis on pole and line tuna fishery. Concurrently an annual survey program (ARQDAÇO) was created to assess abundance, biology, distribution and migration of demersal species and in 2000 the community framework for the collection and management of fisheries data was implemented under the Common Fisheries Policy with the regular collection of information on species length and biological data as well as by-catch and discards. Recently the Region has been supporting a project (COnsolidating Sea Turtle research in the Azores) whose main objective is the monitoring of by-catch in surface longline fishing. Despite the inherent difficulties of assemble a truly effective strategy in our region context there is an undeniable success achieved by some of the referred approaches.